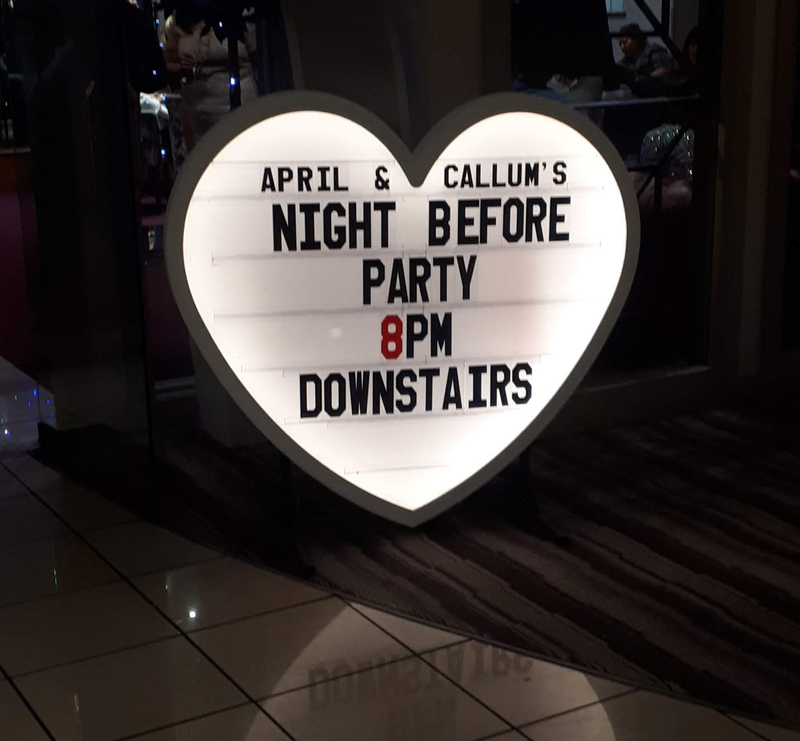 Our 4ft heart shaped light box is available to hire for your event. 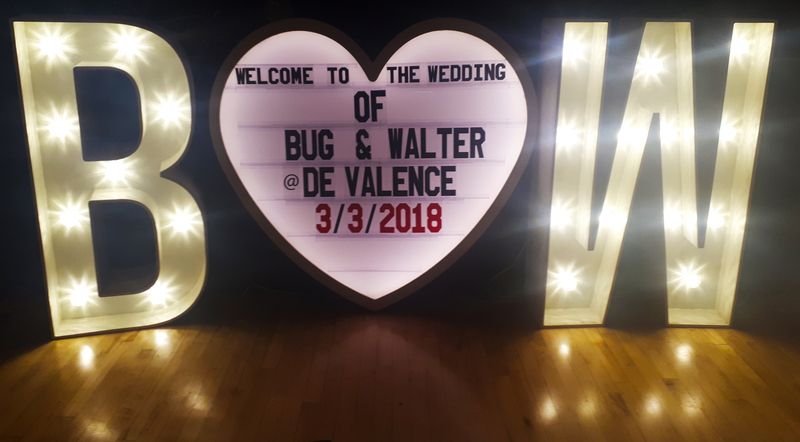 Also known as cinema lights, we put in the letters, symbols and numbers to suit your requirements. 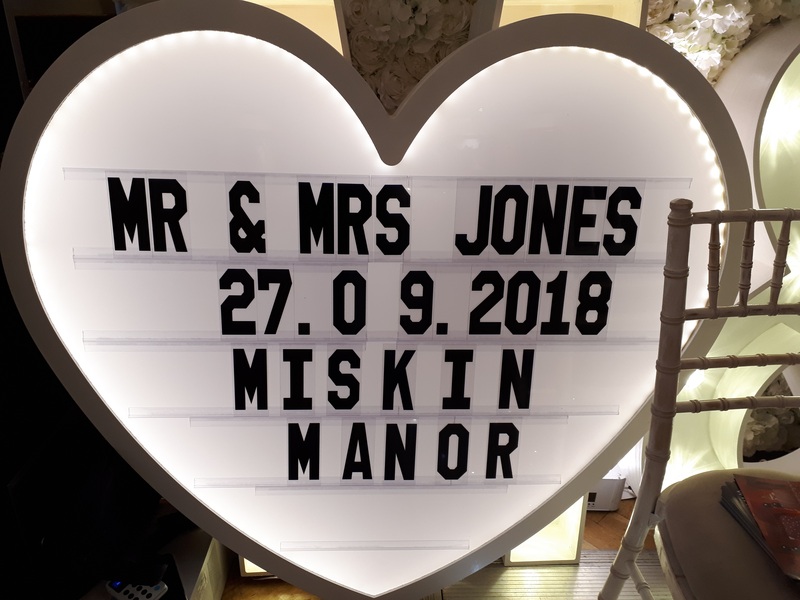 This service is completely bespoke to your event and provides a useful greeting for guests and also serves as a photo point. 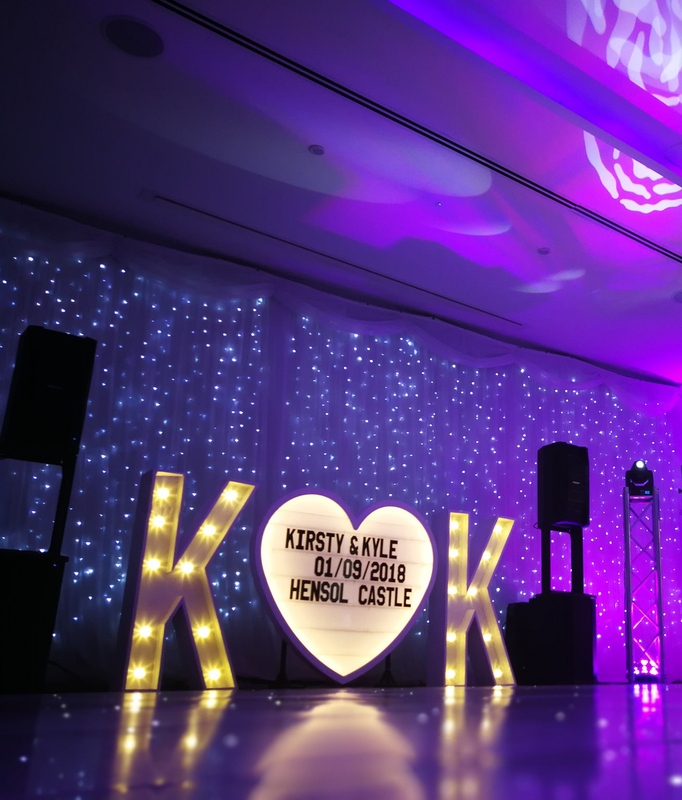 If you require Light Up Initials, take a look at some examples HERE.